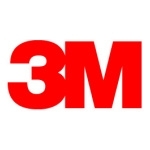 3M invented, pioneered and continue to revolutionise Cold Shrink Technology for the cable jointing of LV, MV and HV power cables. With the new 3M QS4 Cold Shrink Cable Joint, once again 3M have engineered a considerable technological advance in their marketplace. With 3M QS4, simpler installation meets proven reliability to provide a cable jointing system that gives global power utilities continuous MV power up to 35kV. Integrated Design: The challenge of cable joint installation in tight spaces (cable trenches, narrow jointing bays, overhead cable trays) can be solved with 3M QS4 shorter parking space. With few components, the installation process is simplified. Easy-Pulling Installation Core: The new, easier-unwinding, smooth edged yellow core provides for a simpler installation of the cold shrink joint with less effort, and less wear and tear on the jointers hands. Efficient Rejacketing: The 3M QS4’s integrated rejacketing eliminates additional core and reduces the overall parking space required during cable joint installation. The yellow slider sleeve eliminates the need for messy grease to help the installation of the rejacketing tube by the jointer. Customisable Grounding: Some configurations of the new 3M QS4 cable splice come with a factory-installed ground braid that can be customised for specific application needs or work practices, reducing field prep time. 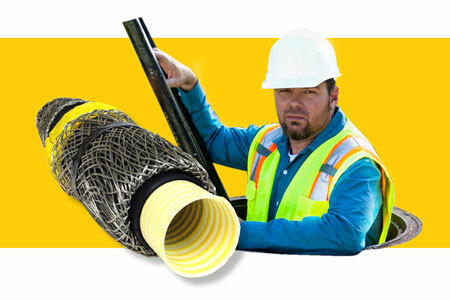 Smooth-Edged Shielding: The smooth-edged 3M shield sock means virtually no fraying or sharp edges to deal with during installation of the 3M QS4 Cold Shrink cable splice. Picture Courtesy of 3M : The integrated design of the 3M Cold Shrink QS4 Integrated Cable Joint reduces parking space and simplifies installation for construction and industrial applications. Thorne & Derrick are distributors of LV-HV Cable Installation, Cable Jointing & Electrical Equipment - we service UK and global businesses involved in cable installations, cable jointing, earthing, substation and electrical construction at LV, 11kV, 33kV and EHV. T&D service utilities, power, construction, rail, mining, offshore, oil, gas and petrochemical industries. T&D distribute Electrical Safety Equipment protecting workers on underground cables, overhead powerlines, switchgear and substations at LV, MV and HV. T&D association with 3M dates back to the 1960's and today we are now the leading stockist and distributor for 3M Electrical Products in the UK.